I was brought on to specifically redesign the Garage (upgrades) and Storefront in addition overall UI direction. 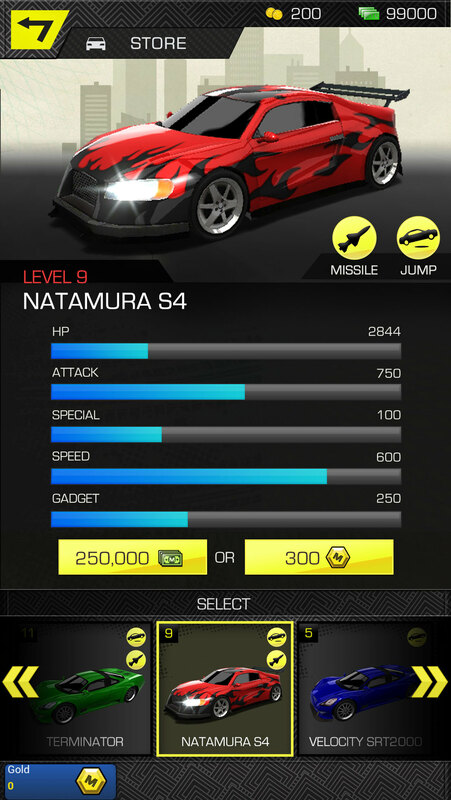 Become the ultimate getaway driver! 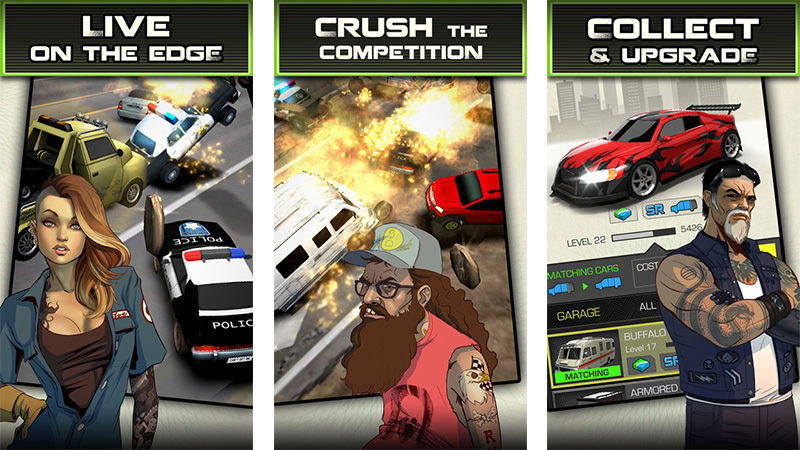 Become the ultimate getaway driver in a world of adrenaline-packed car chases, high crimes and huge payouts. Conspire with cutting-edge thieves, shady corporations and other suspicious factions in raging plot of greed and deception. Escape your pursuers in your own fleet of upgradable getaway cars where the only path to victory is through head-on traffic and punishing collisions, leaving a wake of destruction in your rear view mirror. •Crush the competition – Compete with your friends in action packed chases to build your Reputation and earn a spot at the top of the leaderboard. •Collect 60 getaway cars – Expand your collection from over 60 upgradable vehicles, including cars, trucks, vans, and big rigs. 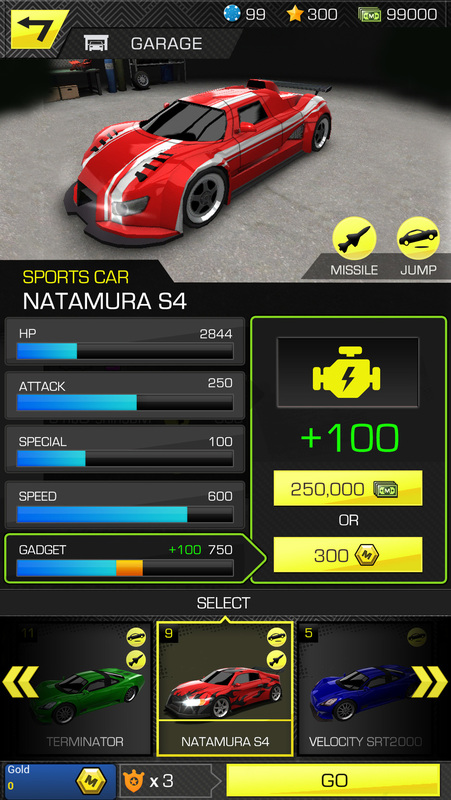 Mod any ride to improve its stats or upgrade them to more awesome and powerful models If you have the right skills you’ll find the right car for the job. 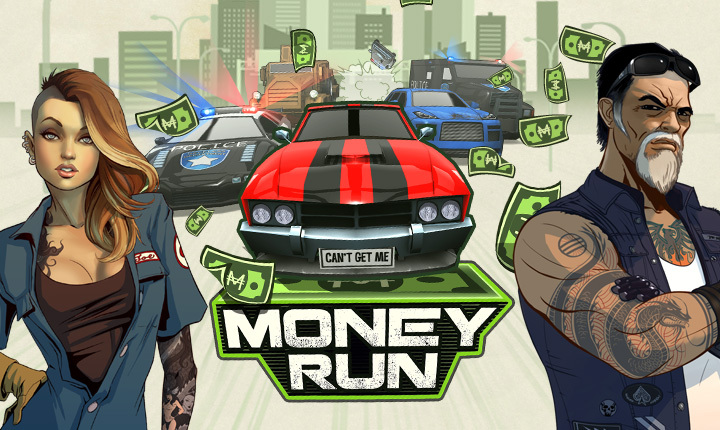 •Live, evolving gameplay – Campaign and PvP missions are kept fresh with a steady stream of exclusive, live events with the opportunity to cash-in big on one-of-a-kind cars that you will not want to miss. •It pays to be reckless – Use your stunt reflexes to dodge heavy traffic and execute clever collisions to send enemys' cars flying off the road. Use brute force to carve a path with machine guns, rocket launchers, and other gadgets too. Maybe next time your enemies will think twice before getting in your way. •You’re in too deep – An evolving storyline pulls you into the heart of a criminal war featuring rival factions. You know what they say, keep your friends close but your enemies closer.